Giles Buswell is an admitted attorney (with rights of appearance in the High Court) and conveyancer. He has practiced from time to time as an advocate, attorney and a conveyancer and has in total some 20 years of experience in general practice including at one time a large High Court litigation and commercial practice. Currently his practice specialises in property law and all aspects of financial risk management including estate planning, tax planning, wills, trusts, the use of limited interest (usufructs, fideicommissa, leases and similar legal constructs) in property transactions, and the like. Over the years he has been on the panel of Standard Bank, Mercantile Bank (in a litigation and commercial role), ABSA Bank (in the guise of MLS Bank, a division of ABSA Bank), and Imperial Bank (Medical Division). In regard to the latter two banks, he undertook the registration of the bulk of their bonds (whether mortgage, surety, collateral or notarial) in the medical divisions in the Western Cape for a period of about 10 years commencing in approximately 1995 and ending in 2005. Recently he has been pleased to assist in a transaction requiring property expertise undertaken by Foord Asset Managers. 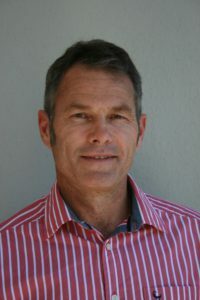 He currently, in addition to managing the conveyancing department at Henwood and Associates, manages the conveyancing departments in two other small Cape Town firms.